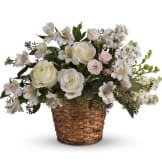 A lovely bouquet to soothe and comfort, a variety of white and peach blossoms sends your hope and strength. 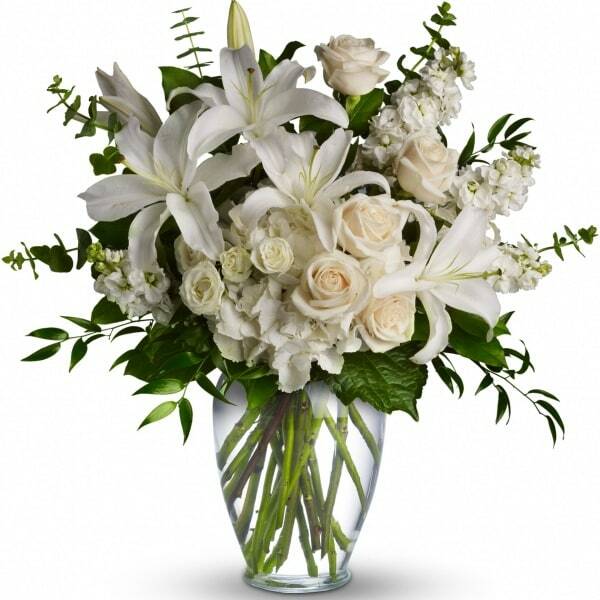 Send this arrangement to show how much you care. 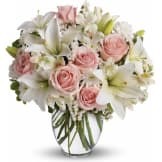 • Beautiful flowers such as white hydrangea, spray roses and stock, peach roses, eucalyptus and more fill a tall glass vase. 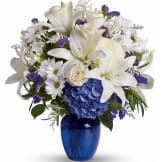 • Standard arrangement measures approximately 24" W X 24 1/2" H.
• Deluxe and Premium arrangements measure approximately 25" W X 25" H.